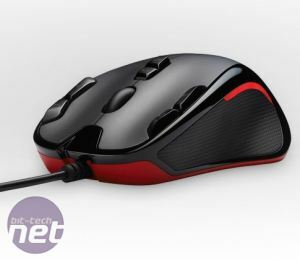 Logitech has today announced a new, ambidextrous addition to its G-series of gaming mice - the smart looking G300. The news is likely to be greeted warmly by lefties, who are generally pretty poorly serviced by gaming mice manufacturers. 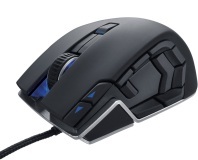 The symmetrical shape of the G300 hasn’t forced any compromise in specifications either as the mouse boasts a 2,500 DPI optical sensor, adjustable polling rate and is festooned with programmable buttons. As with most gaming mice the G300 also sports a small cache of onboard memory so yo can take your settings with you on the move. As it’s a gaming mouse the G300 also features programmable lighting, because we know how important it is for your mouse lights to match your desktop background. 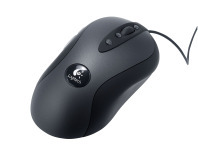 Logitech also calls the mouse ‘compact’, meaning it may not be suitable for those with large dinner plate sized hands. We’ll obviously have to wait till we get our hand on one to see just how much of a bugbear the small size is though. 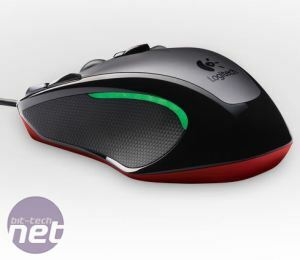 Pricing wise Logitech has said that the G300 should retail for $39.99 when it hits the shelves in September and that it’ll be available at all the usual online retailers. 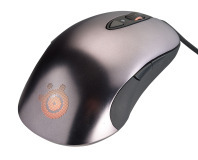 Are you a southpaw that’s struggling to find a mouse that’s right for you? Do you like the look of the G300? Let us know your thoughts in the forums. Can oodles of buttons and solid software make the M90 worth picking up? Is the Sensei really the most customisable mouse in the world? We take a look. Logitech's latest mouse goes back to the classic Logitech layout and shape. Can it still compete?